When fitted with pinna simulator, ear canal extension, and IEC 60318-4 Ear Simulator, KEMAR closely mimics the acoustic properties of the human ear. KEMAR meets the international standards as specified by IEC: 60318-7 and ANSI: S3.36, S3.25. The 45BB KEMAR is a non-configured KEMAR - without a mouth simulator. The 45BC KEMAR is identical, except that it has a built-in Mouth Simulator. Read more about 45BC KEMAR here. The current KEMAR has the same dimensions and acoustical properties as the original KEMAR, but has been developed further by GRAS to meet the industry’s demand for realistic measurements. Today, more than 40 years after its inception KEMAR can test any device that contains both loudspeakers and microphones as well as perform binaural recordings of product sound and music. At GRAS, we safeguard KEMAR's legacy, but are also continuously expanding the range of features and functionalities leading to new applications and uses - without compromising KEMAR's original form. In 2013, KEMAR underwent a substantial rejuvenation that introduced major improvements to build quality, user friendliness and configurability. KEMAR’s previous fiberglass construction was updated to a plastic composite that provides a more user friendly and ruggedized construction. At the same time, many other improvements were introduced, making KEMAR much easier to configure, calibrate and service. 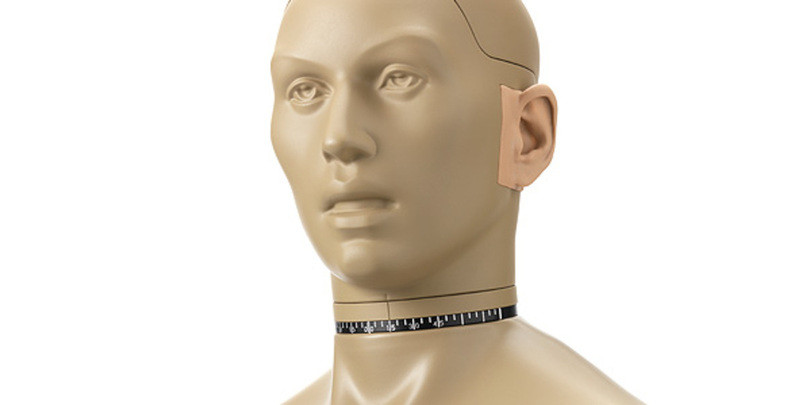 The 45BB KEMAR Head and Torso, non-configured is a KEMAR without any application specific accessories. As such, this KEMAR is intended for customers who want to reuse accessories already in their possession. But the non-configured KEMAR is also the core of all configured 45BB KEMARs. With these, KEMAR can be configured for a wide range of both standard and special applications, making it the most versatile manikin for in-situ anthropometric testing today. A KEMAR with Mouth Simulator can be configured for headset testing and telephone test. Read more here. KEMAR is available in a number of configurations that are delivered fully assembled, tested and calibrated as complete out-of-the-box systems. Each configuration is optimized for a specific application, with transducer(s), preamplifiers, pinna simulators, and cables and accessories. KEMAR is made of components from our standard portfolio and are all manufactured of high-quality material and branded parts that were chosen and processed to ensure life-long stability and robustness. This, enables us to offer 2 years warranty against defective materials and workmanship. KEMAR Retrofit Kit for Anthropometric Pinna. The Kit includes Ear Simulator Holder, 2 finger screws and a 3 mm Allen Key.